Calvery Medical Consulting strives to provide excellent guidance to support physicians with the important responsibility of managing a profitable pain practice. Our service philosophy is to offer practices an experienced team of high-integrity pain practice consultants to address their needs in developing well-run, patient-centric pain practices. By doing so, we believe both patient and employee satisfaction will improve greatly. Our goals are to provide consulting services at competitive pricing to improve the practice’s operations without affecting the quality of medical care and to deliver quality results in order to build and maintain long-lasting relationships. Our reputation will be built through each practice’s opinion of the value and service we provide. 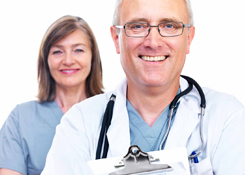 Why do physicians hire our executives and medical practice management consultants? Physicians who choose Calvery Medical Consulting gain external, objective advice and access to our premier healthcare consultants' specialized expertise. The healthcare consultants who partner with CMC have been helping physicians, medical practices, ambulatory surgery centers and hospitals grow profits and efficiencies for more than 20 years.